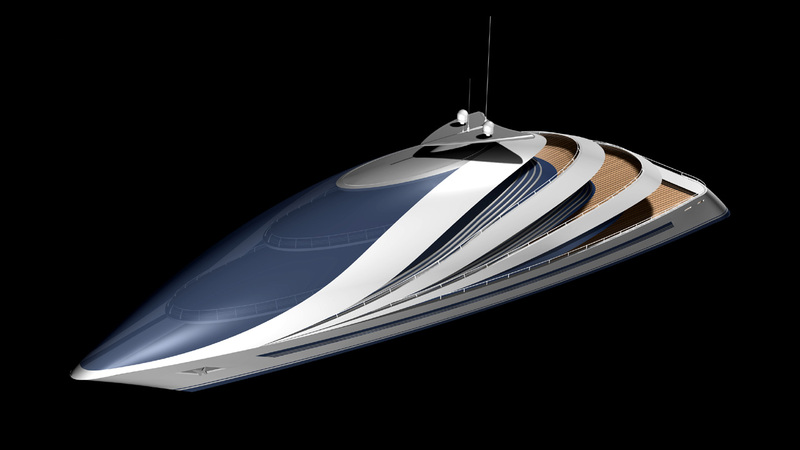 This 55 metre aluminium superyacht is particularly innovative in its courageous unusual architecture, designed by Giancarlo Zema for EXTRAORDINARYachts. You can confortably admire the sea landscape from three overlapping decks in the all glass prora where the commands are usually situated. The three external decks follow the shape of the hull uninterruptedly from prora to sterm finally becoming internal thus creating an architectural walk in the sea. 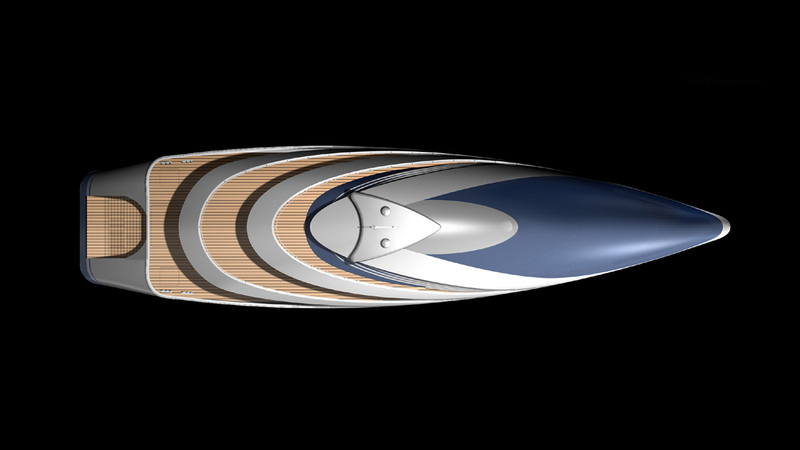 The futuristic design of the decks with diagonal profiles actually conceal an ordinary straightforward internal structure with interconnecting stairways. 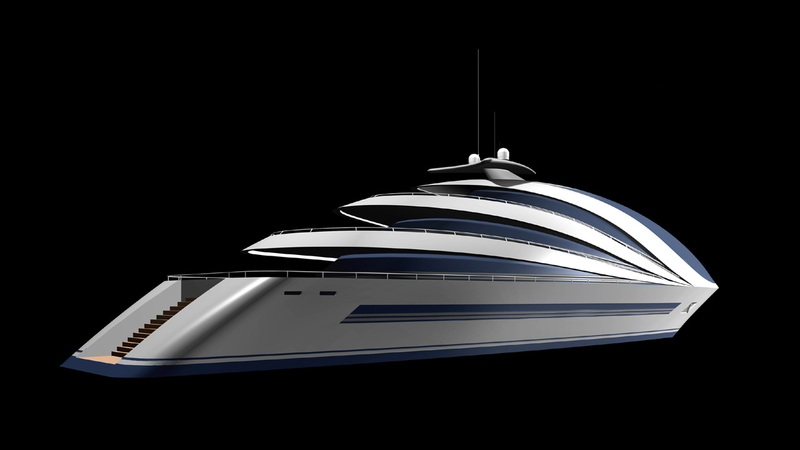 Designed to be built completely in aluminium, the Poseidon 180 can reach a maximum 20 knots. 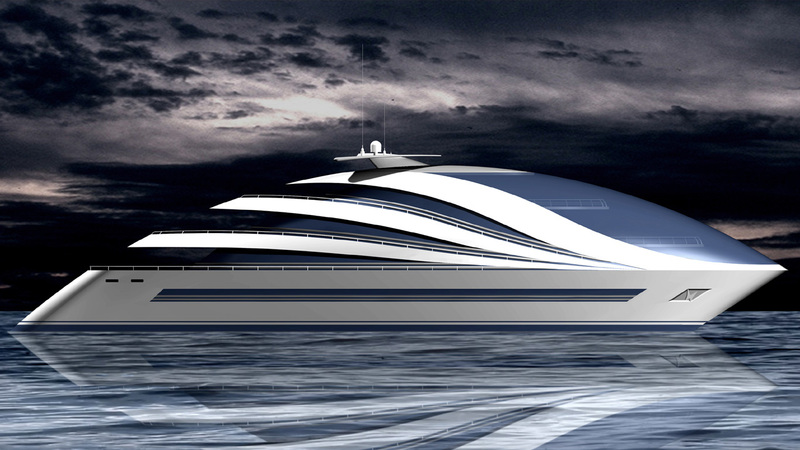 The stream-lined hull and the wide use of glass, give the impressive structure a light appearance. Lightness is the catchword for the interiors too: modern soaces, soft shapes and lighting.